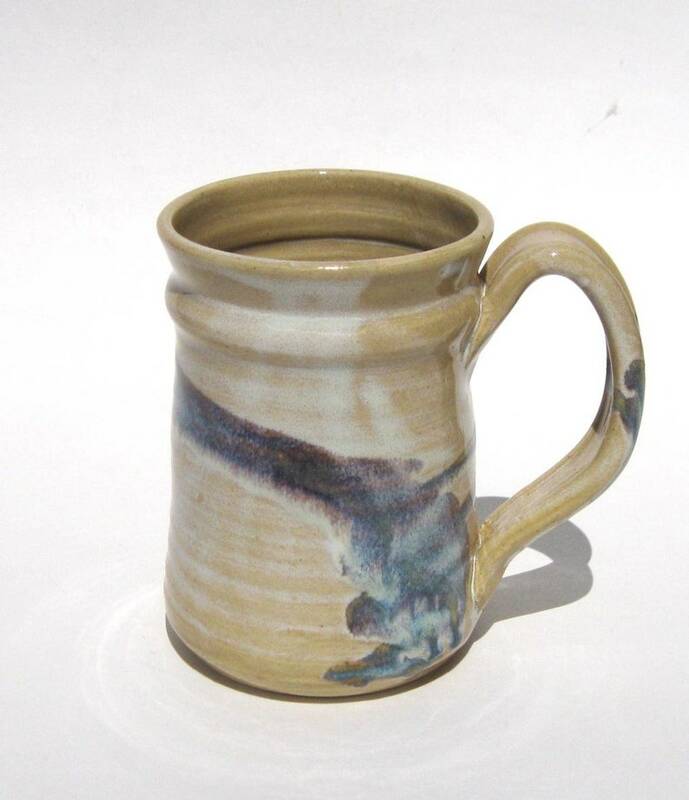 Hand-thrown stoneware mug by Florida potter R.L. Rising of Pensacola. My standard size mug has a 'D' shaped handle that is sized for a large hand and holds 12 ounces. The color shown here is called Wild Berry. Approximately 4 3/4 inches tall -- microwaveable, dishwasher safe, and lead free. Fired to 2350F, footed and signed 'Rising' on the bottom.